San Francisco public safety officials struggled at a hearing Thursday to explain what led to a Jan. 13 ambulance meltdown that left an apparent stroke victim waiting 21 minutes to be taken to the hospital. 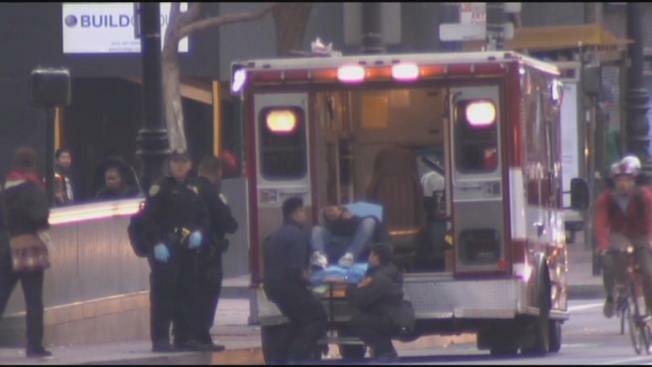 NBC Bay Area first reported that no ambulances were available to respond to a total of five calls on a typical Friday night in the city. In the first of those calls, a firefighter asked a dispatcher if there was an ambulance for a call of "chest pain and shortness of breath." "We’re trying to get a medic right now," came the reply. Later that night in Chinatown, a fire crew asked for a Code 3 emergency response to assist an elderly stroke victim. No medics were available and the victim ended up waiting 21 minutes. Fire Chief Joanne Hayes-White testified that the delay was partly due to the fact that the original call was not considered a Code 3 emergency. But that didn’t satisfy Superivsor Aaron Peskin. "I think there were actually five other incidents that evening — or so it was reported," he said. Hayes-White promised Peskin that she is looking for ways to modify the department’s staffing model to reflect the growing burden. "We’ve seen our call volume continually increase," she said. But even with a bolstered staff of 200 medics and upgraded ambulances, some obstacles are beyond the city’s control, she told Peskin. Crews face jammed streets in the world’s fourth most congested city and medics are stuck with long wait times in getting people admitted to hospitals already filled with patients, she told Peskin. The crisis is real, one fire union leader told the supervisor’s government oversight committee. "Right now, we are pushing our employees to the brink," union president Tom O’Connor warned. He said the answer is simple: Hire more medics and keep up with the average 4 percent yearly increase in ambulance calls. Otherwise, he said, the city will inevitably be unable to find all the ambulances it needs. "All too often in public safety, you talk about the big one — the next disaster," O’Connor said. "But in the course of all our lifetimes, the big one is when your mom falls and breaks her hip, or when your kid gets hit by a car — that is the disaster in your lifetime, and you shouldn’t be left waiting." Peskin said he will call for another hearing within 60 days to get an update on what is being done to make sure that no one else has had to wait too long for an ambulance.